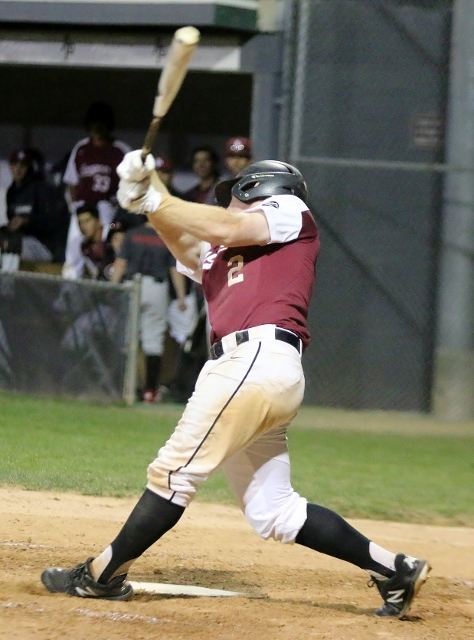 (Glendora) – Mychael Goudreau scored on an error on a ball hit by Joseph Kim in the 11th inning to give Azusa Pacific a 4-3 win over Biola Friday night and the sweep of a doubleheader. The game was scoreless through the first four innings before Biola pushed across a run in the fifth. Joey Magro singled took third on a walk and a stolen base and scored on a sacrifice fly by Andrew Buglino. The Cougars tied it in the sixth when Osvaldo Tovalin doubled and scored on a base hit by Griffen Herrera. Azusa Pacific appeared to be in control after taking a 3-1 lead with two in the seventh. Tido Robles belted one over the right field barrier to put the Cougars on top. Goudreau then singled and came around to score on a throwing error by Biola shortstop Connor Kostecka. But Biola answered with two in the eighth inning off reliever Hayden Jorgenson. Brandon Cody tripled to deep center and Robert Anthony Cruz followed with a two run bomb over the right field wall. Just like that it was all tied at three. Reliever John Szczesny fires a pitch for the Cougars. (Photo by Duane Barker). The game extended to the 11th before the error led to the game winner for the Cougars. 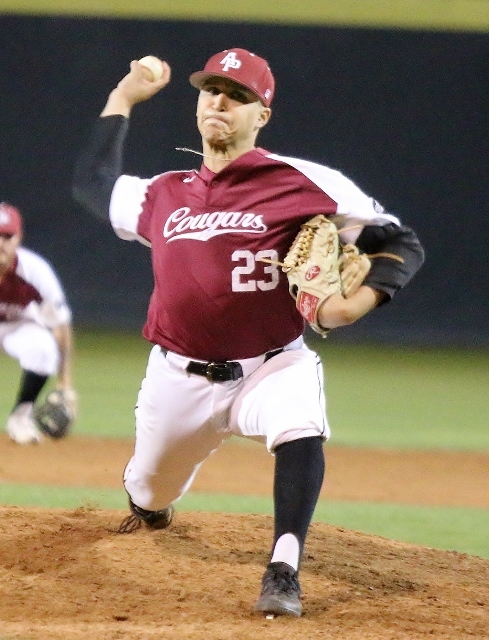 Azusa Pacific used five pitchers on the night. James Acuna started and went four and one-third innings followed by Tripp Aversa, Jorgensen, Spiro Valasakos and John Szczesny. Troy Stainbrook started and gave Biola a solid eight innings striking out 12 in the process before giving way to Anthony Villegas. The Cougars turned the first game into home run derby with eight dingers in a 24-13 football score victory. Azusa Pacific improved to 22-9 and 12-2 in the PacWest with the sweep while Biola fell to 15-11 and 6-8 in conference.